In late November, Australia released its first foreign policy white paper since 2003. While Katrina Lee-Koo has acknowledged that it represents a ‘step in the right direction’ in terms of gender equality, she notes that the white paper makes no reference to WPS or Australia’s national action plan on WPS. Sarah Boyd elaborates on that point and explains why WPS ’needs to be expanded from the aid portfolio to the centre of the government’s national security paradigm’. 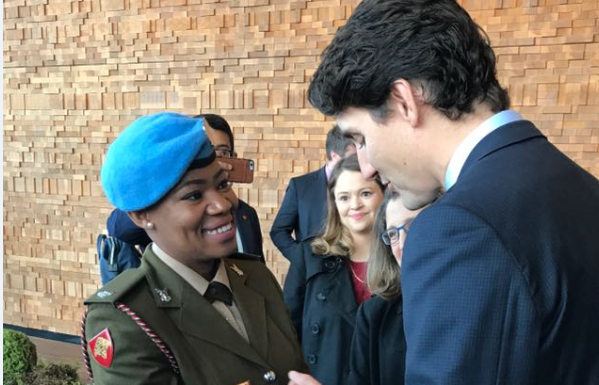 During the 2017 UN Peacekeeping Defence Ministerial in Vancouver, South African peacekeeper Major Seitebatso Pearl Block received the 2017 UN Military Gender Advocate of the Year award for her work in the Democratic Republic of the Congo. 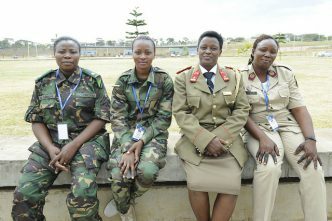 The award recognised Major Block’s work in interacting with the Congolese communities to better understand their concerns and in training fellow members of the UN peacekeeping forces to better integrate gender into their understanding of the mission. Jessica Zimerman, a gender and peacebuilding expert, has written an overarching review of the WPS agenda for The Diplomat to mark the 17th anniversary of UN Security Council Resolution 1325. According to Zimerman, despite the transformative power of the WPS agenda, it remains one of the ‘most structurally underfunded and under-implemented agendas of the Security Council’. Invoking evidence such as the fact only 2% of global peace and security funding was targeted at gender equality and that only 2% of chief mediators were women between 1992 and 2011, Zimerman argues that the WPS agenda needs to focus less on ‘women’ and more on ‘gender’. 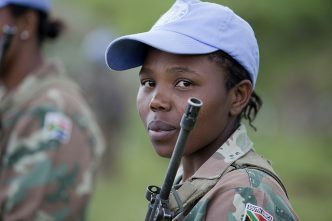 This terminology shift would increase the synthesis of gender analysis into all aspects of peace and security, rather than encouraging the addition of women-related concerns after the fact. Miki Jacevic and Olivia Holt-Ivry reflect on what they have learned about implementing effective policy under UN Resolution 1325. Jacevic and Holt-Irvy unpack what they believe are the three steps to successful policy: engaging civil society; setting realistic, high-impact targets; and developing effective ways to monitor and evaluate progress. 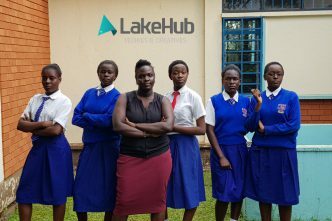 They believe that evaluating programs and resources will lead to great funding for projects that promote gender equality. The Center for New American Security interviewed Alina Polyakova, the David Ruvenstein Fellow for foreign policy at the Brookings Institution, as part of its ‘Women in National Security’ series. The discussion touches on the challenges facing women in the national security field. Ms Polyakova talks about her experiences moving from academia to policy and dealing with rooms of men who ‘assume you’re going to be getting them coffee’. Female returnees from ISIS-occupied territories are presenting a significant problem to the states they go back to. Although few of the women actually fought in battles in Syria and Iraq, ISIS leaders have ordered that they conduct attacks in their home countries as part of the new incarnation of the organisation. Four women have been appointed to Qatar’s Shura Council. The women are the first female councillors on the 45-person consultative body, which is one of the most important in Qatar. The continuing crisis in the Gulf has prompted several policy changes from Doha, and the ascension of women to the council is an important step in having women’s voices heard in the dispute. Politico has released its 2017 list of ‘women who shape Brussels’, which recognises 20 women who are driving debate and influencing policy in the EU. Included in the list is Daphne Caruana Galizia, a Maltese anti-corruption journalist who was murdered in October. The initiative aims to highlight women who are changing their industry or organisation and stimulate debate about gender equality in European institutions, most of which are still controlled by men. The successful election of two female candidates in Tonga has renewed hope of a future that includes more women in leadership positions. Tonga has a poor record of female representation in power, with only five women elected to parliament since 1951. One of the recently elected candidates, academic Losaline Ma’asi, brings a wealth of knowledge that will benefit Tonga’s agricultural sector. This article from The Conversation details the important role that peace huts have played in furthering gender equality in Liberia. The peace huts are run by the women who helped put Ellen Johnson Sirleaf in power, Africa’s first elected female head of state. While Liberia has made some progress under Sirleaf, who was able to stabilise the country after a bloody civil war, many have attributed the lack of female representation in the latest election (just 16% of candidates were women) to a failure of her leadership. Sirleaf will finish up her second term in January, but her successor is yet to be confirmed. UN Women has released an interactive website sharing the experiences of women around the world affected by climate change. Challenges with climate resilience and gender equality often go hand in hand. The first-ever gender action plan to support gender-responsive climate action was adopted on 14 November by the United Nations Climate Change Conference (COP 23). The president of COP 23, Fiji’s prime minister Frank Bainimarama, stated that the plan ‘recognized the role of women in climate action’. 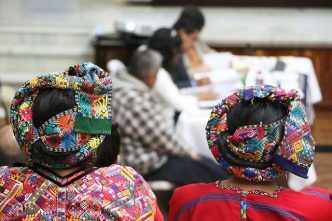 For some inspiration on the importance of ensuring that development funding is also directed towards supporting women, check out the series ‘When women do better, countries do better’ over at the US State Department’s DipNote blog. Throughout the month, they have been running a Q&A series with various female entrepreneurs whom USAID has funded. Eliza Chapman, Harley Comrie, Jack Viola and Jacqueline Westermann are research interns at ASPI. Edited image courtesy of Twitter user United Nations.